A story is told by a mother. 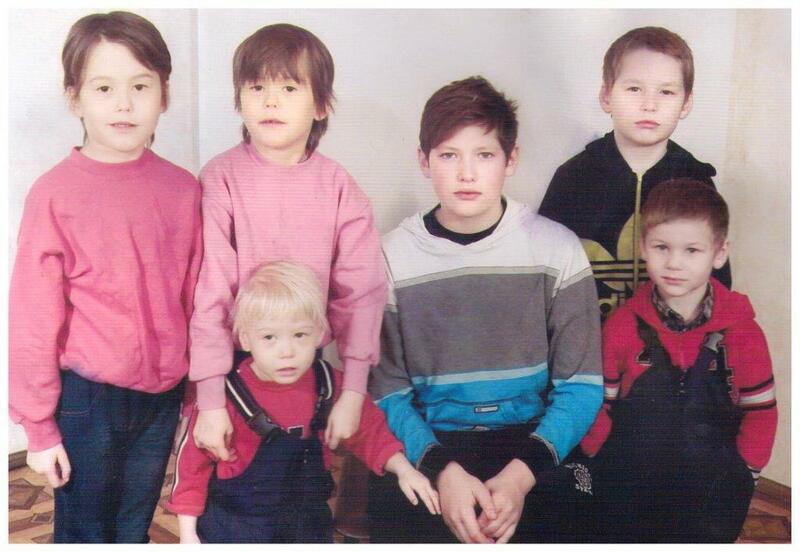 My name is Irina, I am 31 years old and I have six children. My children are dreamers, one dreams of having a car, others dream of being rich and so on. My dream was to have a large family as I was born in such a family myself. However, fate played a trick on me and my 3 children have disabilities, I am a single mother of six children 3 of which have disabilities. When my first baby was born, I cried tears of happiness as I became a mother. We named our son Artem. Years passed, and in 2008 our second son Maxim was born. Everything was fine. My boys were healthy, quick and nimble like any other ordinary kids. I had to keep an eye on them as they would get into anything, you know the type. Artem attends handball classes and he enjoys them very much. Maxim attends music school where he learns to play the bayan; you might say the accordion. Just like any other mother, I wanted to have a daughter who would be my helper and well I wanted a daughter. In 2010, I found out that I had been pregnant with twin girls. But something went wrong. The doctors diagnosed them with Minkowski-Chauffard hereditary anemia: a severe abnormality of red blood cells, or erythrocytes. We were young; we didn’t know what to do and whom to ask for advice. I just resigned myself to the fact that these were my children. Yes, they need more attention, care, and warmth, but they are mine and I love them. The government gave me a 2-room flat. It’s such happiness when you have your own flat. And of course, I am very grateful to my mother who helps me to look after the kids. In 2014, my third son Pashenka was born. He attends kindergarten with great pleasure. He likes being among other children. He says that there are many toys and cars in his group. In 2015, on the way to the maternity hospital, right in the ambulance car, my daughter Angelina was born. And again, the doctors diagnosed her with the same disease Tatiana and Ksenia have. The girls fall ill very often. Their hemoglobin decreases and they need treatment in hospital. In 2015, Tatiana and Ksenia had their spleens removed, but it didn’t help to improve their health. Sometimes I go through tough times. But NGO “BelAPDIiMI” a "Star of Hope" partner provides me with a different kind of support, a hand up I need so much. The organization gave us presents, toys, and clothes to my children. Children are growing up quickly: you buy clothes and soon it becomes too tight for them. The youngest brothers wear their oldest brothers’ clothes. Sometimes I want to give a treat to my children, to buy sweets or a new toy. Of course, I don’t always have enough money for that, especially when we travel to Minsk for treatment. I can’t work right now as I devote all my time to my daughters; they need constant additional attention because of their disease. In the evening we all gather together. We laugh, every child is eager to talk about his day. I want to hug them, clasp to my bosom and cover with kisses each of them. All the bad things vanish: it’s no longer matter that someone has broken a cup or painted wallpaper with pencils. When I get my children to bed, I believe that tomorrow will be a better day as we are not alone. People help us and when my children grow up we will help them back.